Thank you for telling Janet Napolitano: Criticism of Israel is not anti-Semitic! 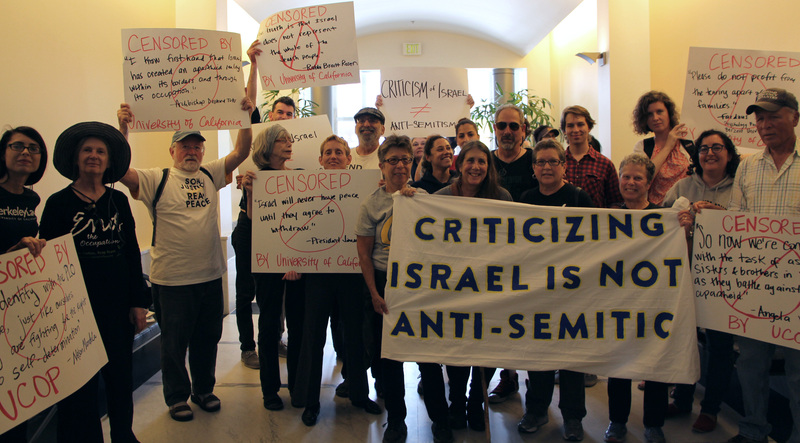 Home/From our Staff and Members /Thank you for telling Janet Napolitano: Criticism of Israel is not anti-Semitic! When I heard that the President of the UC system, Janet Napolitano, had endorsed the “State Department” definition of anti-Semitism, I was shocked. The definition is a troubling one, as it defines anti-Semitism as “demonizing, delegitimizing, or applying a double-standard to” the State of Israel. As a proud UC alum, I feel very strongly that this definition has no place on a college campus. I want the UC system to actively stand up against racism and anti-Semitism, but this definition is not the way to do it. Thanks to the incredible power of people like you, UCOP heard our concerns. 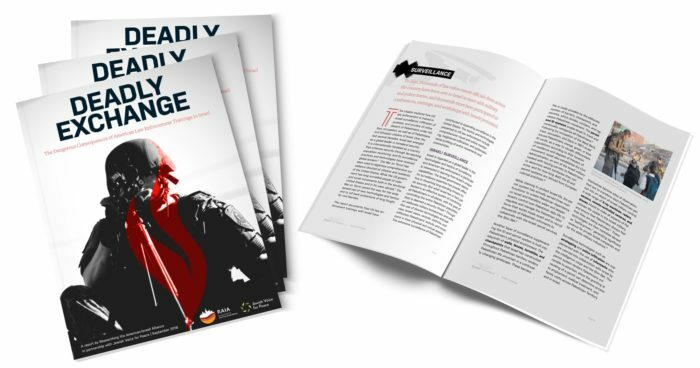 I was honored to work with so many JVP members and allies on this campaign. Along with Palestine Legal and the Asian Law Caucus, we met with representatives from the UC Office of the President to voice our concerns and show them how adopting this definition would negatively impact students. United Auto Workers (UAW) – the union who represents graduate student workers at the University of California – stood up for free speech as scholars and educators, writing a powerful resolution and testifying at our signature drop (and at the UC Regents meeting this last week). Students for Justice in Palestine-West also wrote a beautiful letter, highlighting the experiences of UC students who advocate for justice and human rights in Palestine. Criticizing Israel is not Anti-Semitic! Thanks to your actions, whether you signed our petition, called the UC Office of the President, or joined us in delivering this petition to UCOP, the UC Regents did not discuss this definition at their July meeting. This is a good start. We applaud the University of California’s move to address anti-Semitism in the context of other forms of bigotry. And racism is real, and toxic to our communities; adopting the State Department definition would not combat racism. In this process of opposing this definition, I’ve heard from many Palestinian and Jewish UC students who stand up for human rights in Palestine. Each of them have a story about being targeted for their moral stance. Jewish students who advocate for Palestinians are called self-hating Jews; Palestinian students are told their experiences, or the experiences of their families, are invalid and untrue, or worse – that they are terrorists or anti-American. Adopting the “State Department definition” would do nothing to abate these experiences, rather it would exacerbate the problem by demonizing their advocacy for Palestinian rights as anti-Semitic. Because of this, we will be vigilant and present at that meeting in September to ensure the University of California remains a public university system that encourages critical thought and includes all of its students. It is thanks to you that we can claim this as a victory for now. I’m so grateful for each of you.